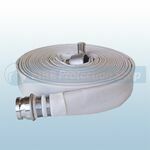 At Fire protection Shop we supply a wide range of Layflat Hose from Type 1 - Type 3. 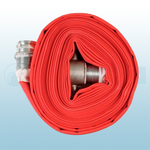 Type 1 – Uncoated fire hose widely used by Fire and Rescue Services, Marine and Industrial users and is ideally suited to general purpose fire fighting, water transfer and wash down use. Type 3 – Premium high quality product used by professional fire fighters around the world in the most demanding of situations. 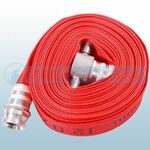 Type 3 hose provides excellent resistance to a wide variety of chemicals and oils and will withstand accidental contact with hot embers.